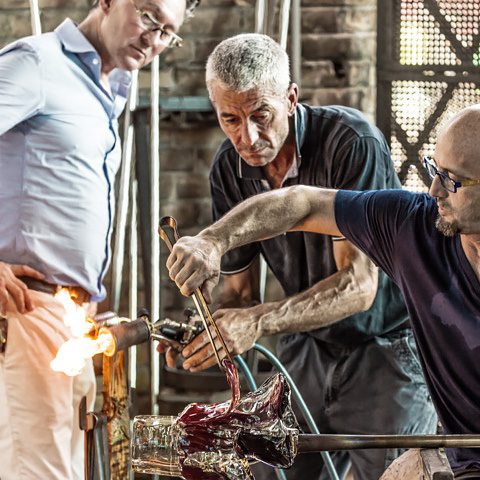 Since the 13th century Venice and its glass owe their fame and fortune to the mastery of the translucent coloring, to which natural light confers a magic dimension. 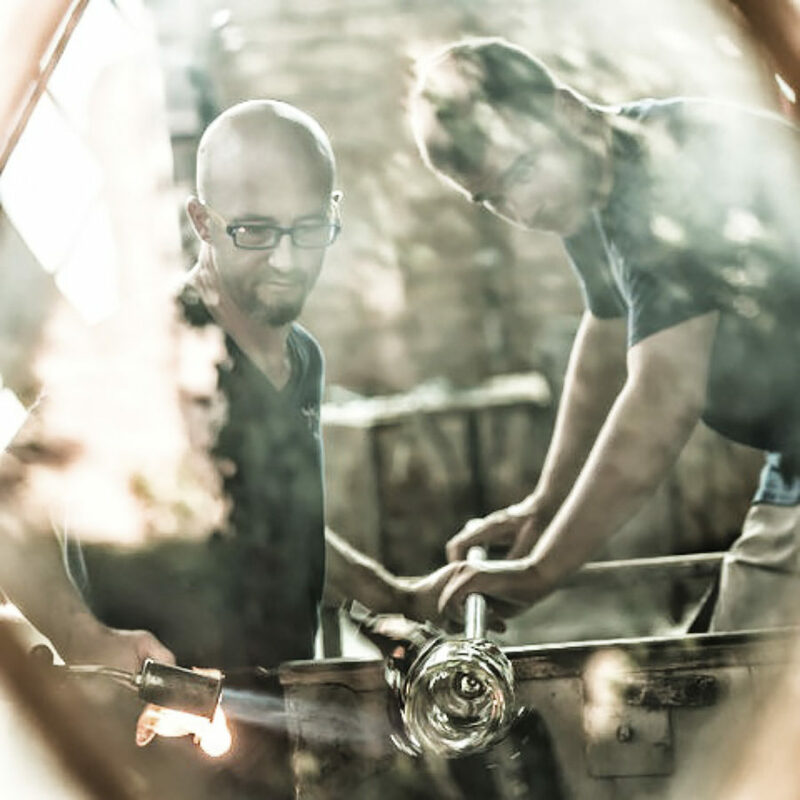 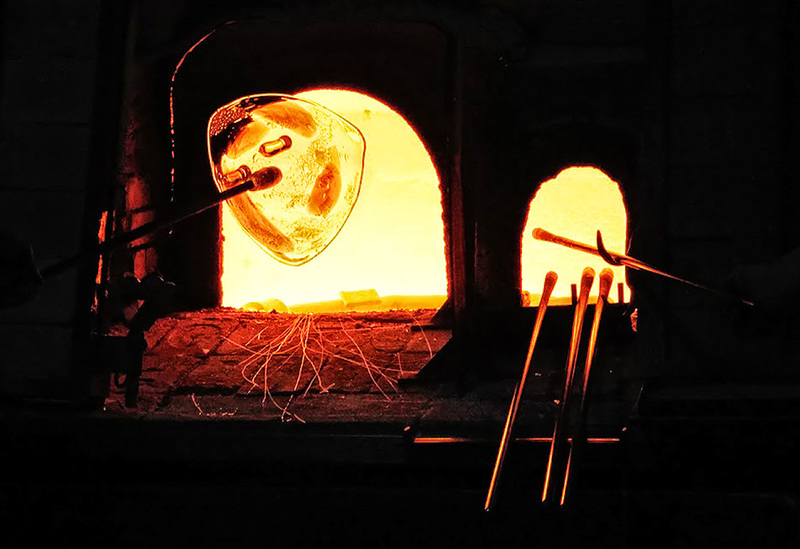 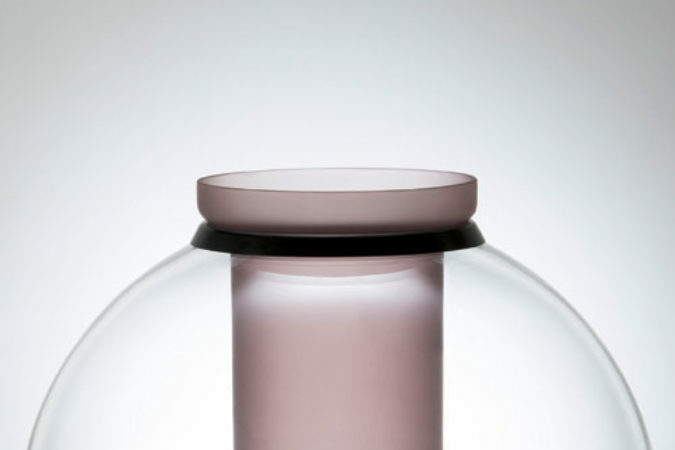 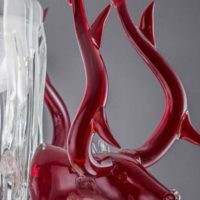 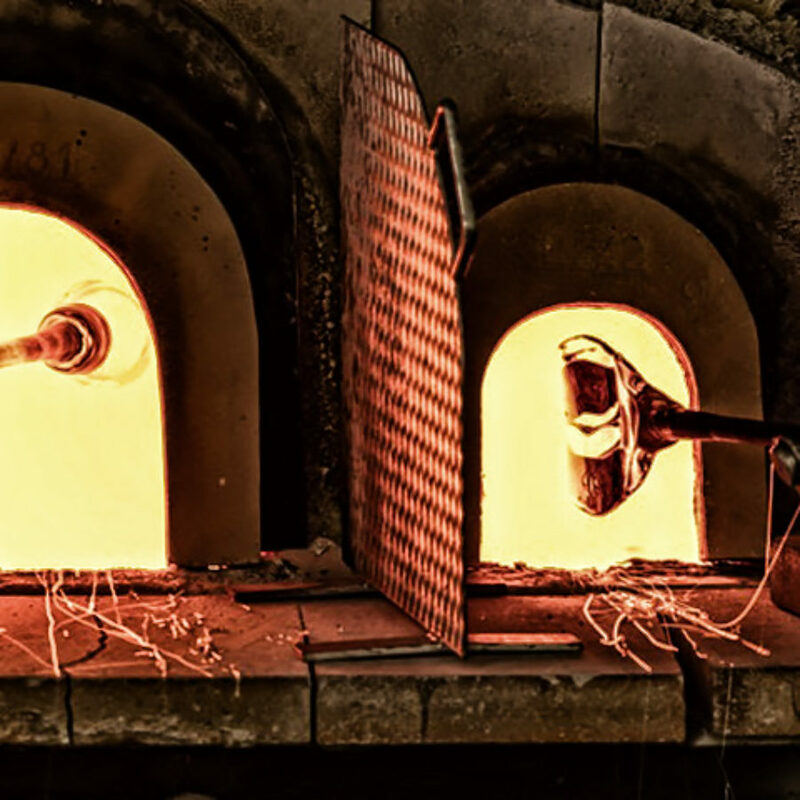 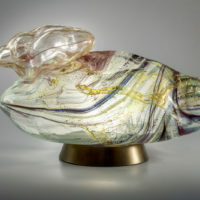 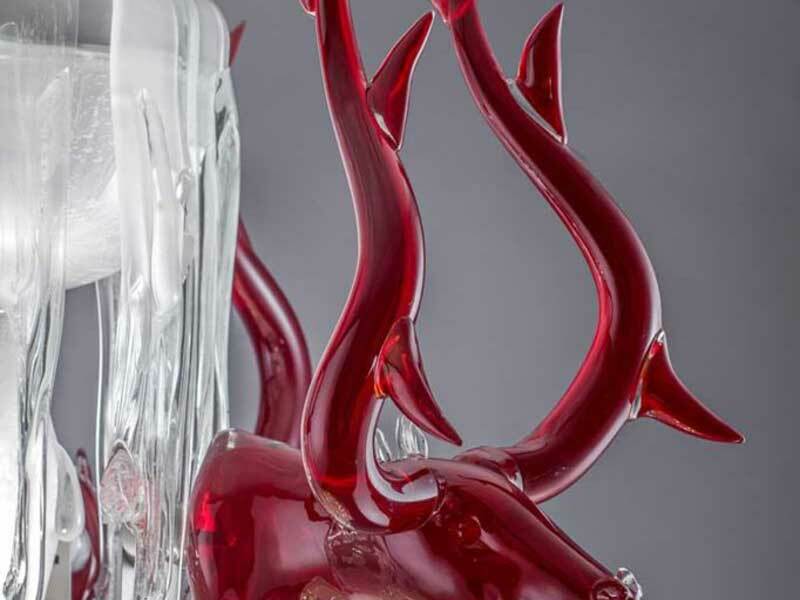 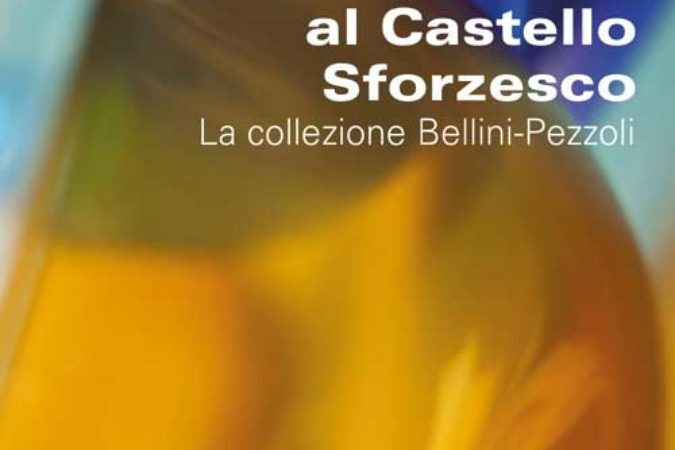 The master glassmakers exploit a traditional manual technique, without the need of molds, using a few secular instruments that remain unchanged until today, to realize pieces of a great elegance and lightness. 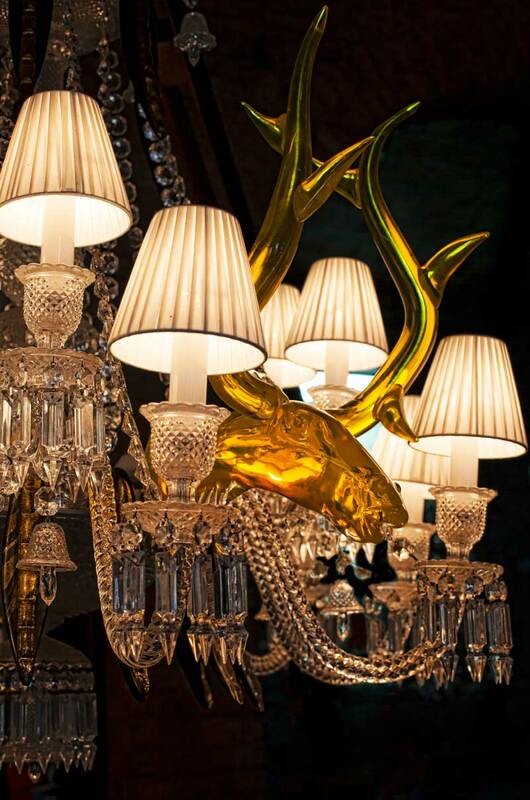 The Venetian maritime power conveys these coveted treasures all over the globe: from the European royal tables to the confines of Asia. 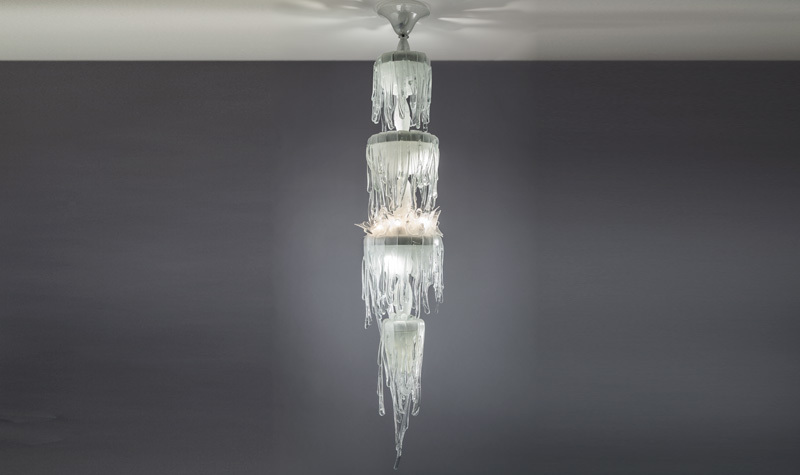 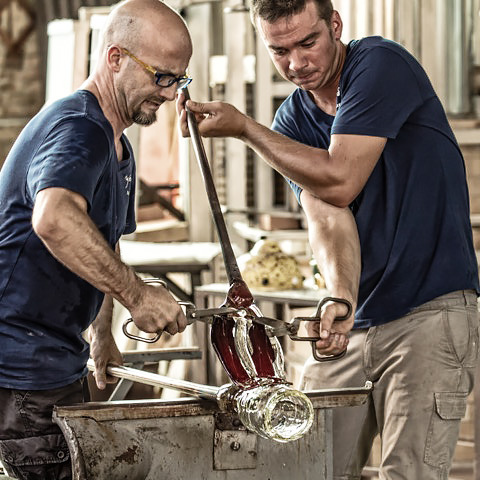 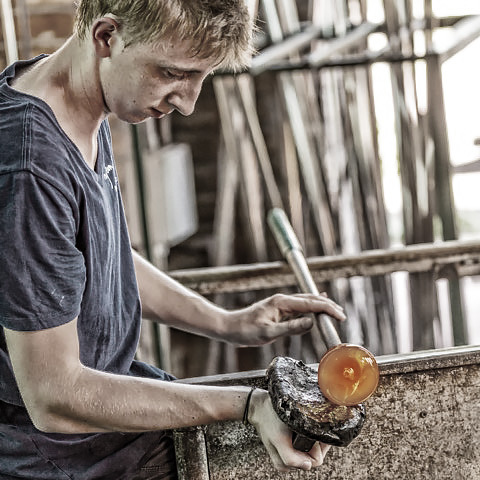 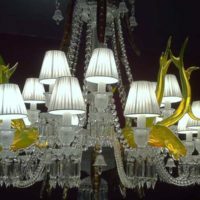 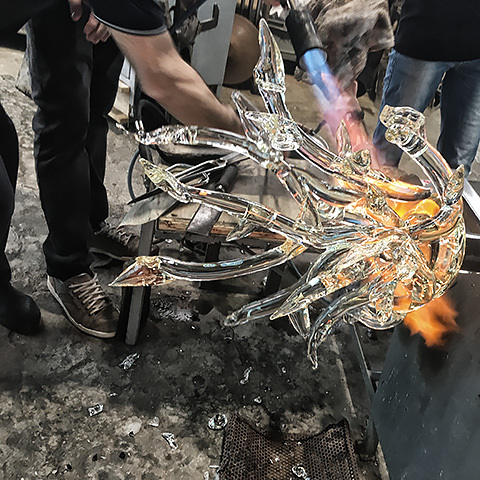 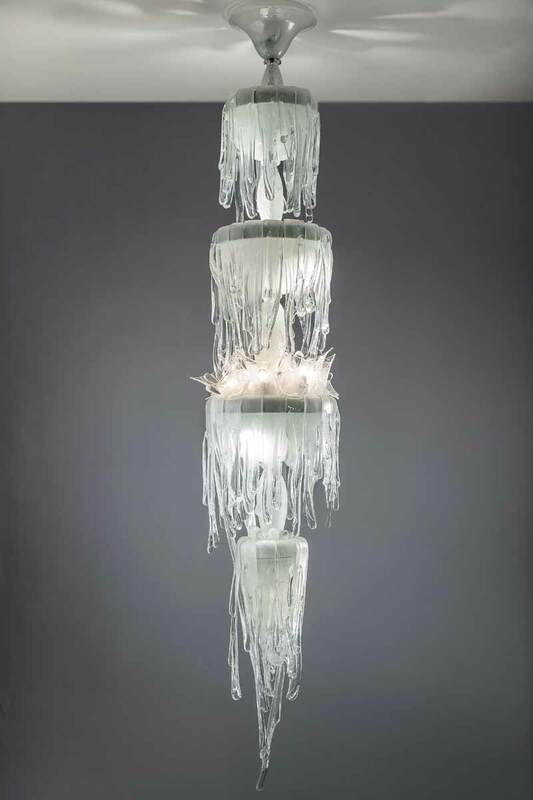 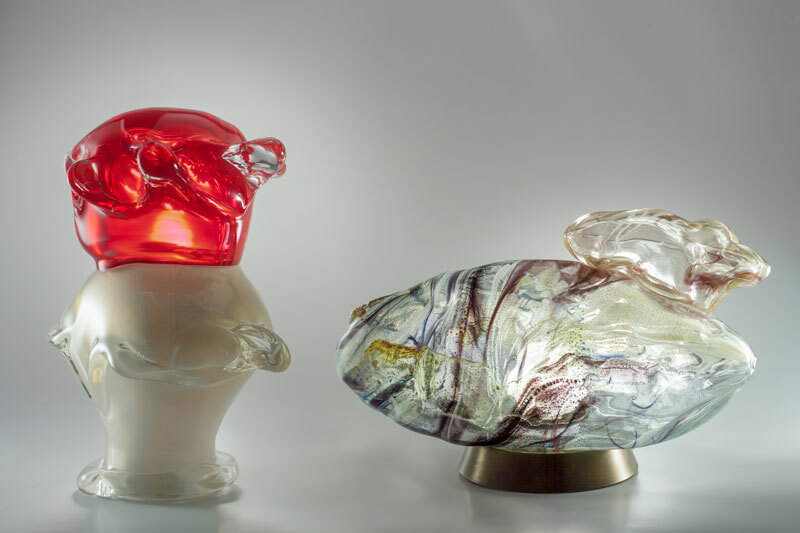 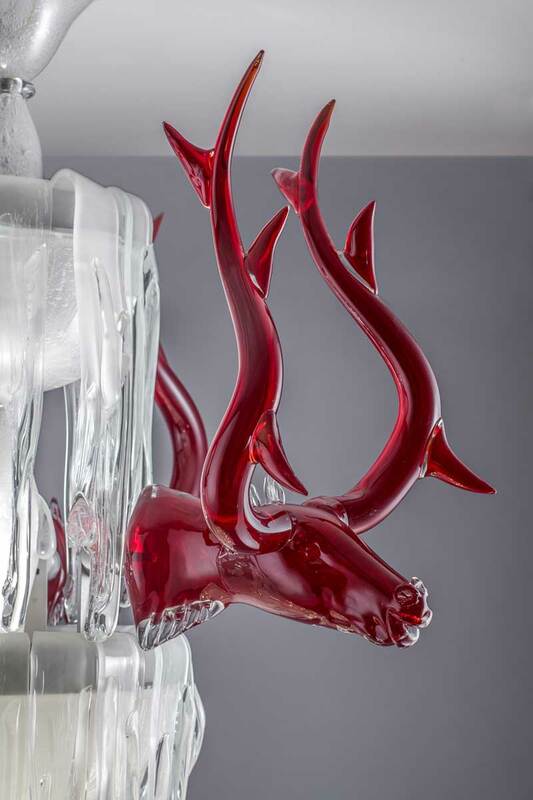 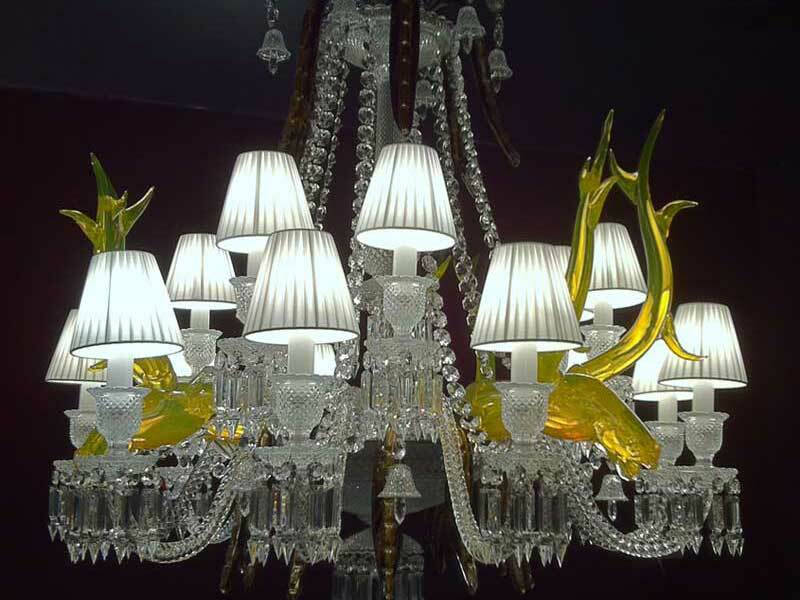 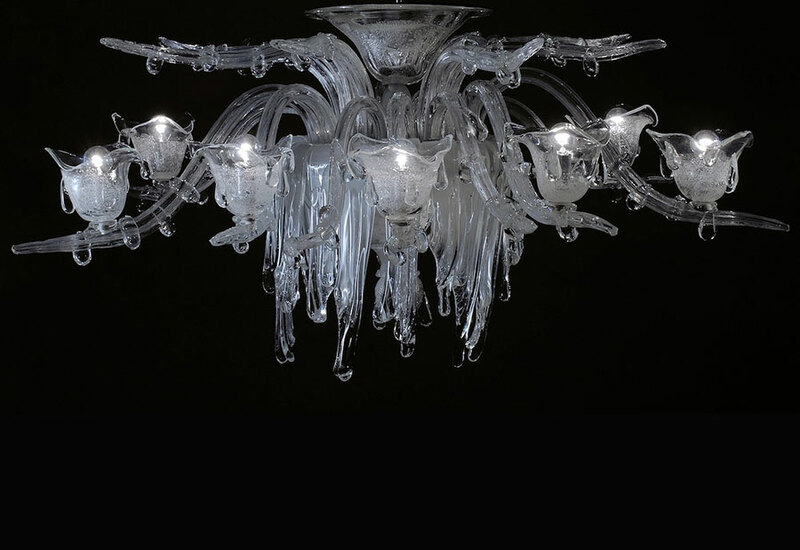 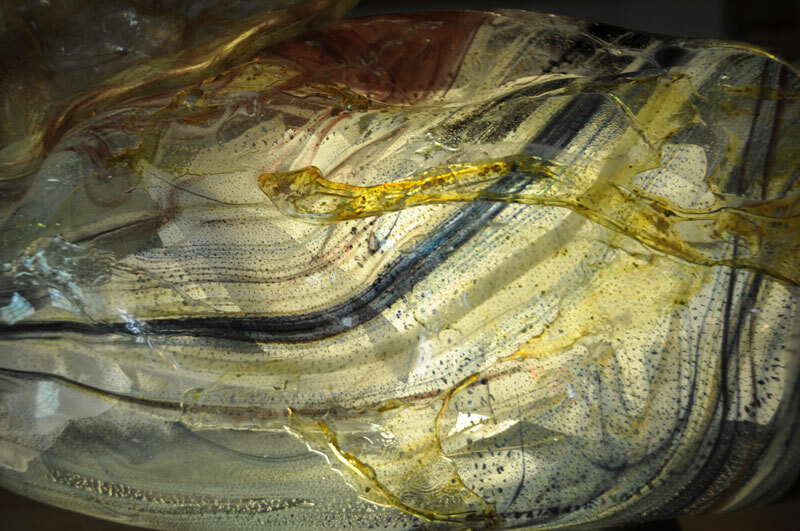 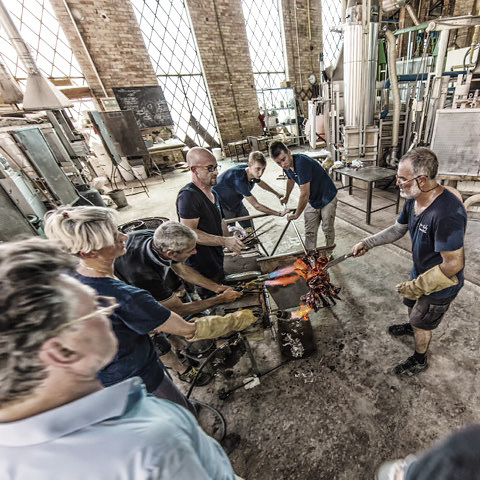 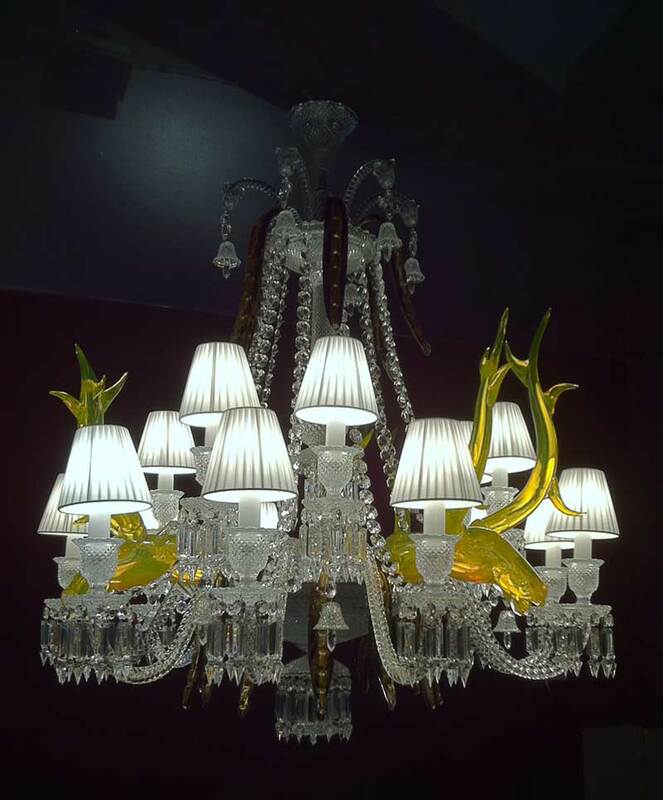 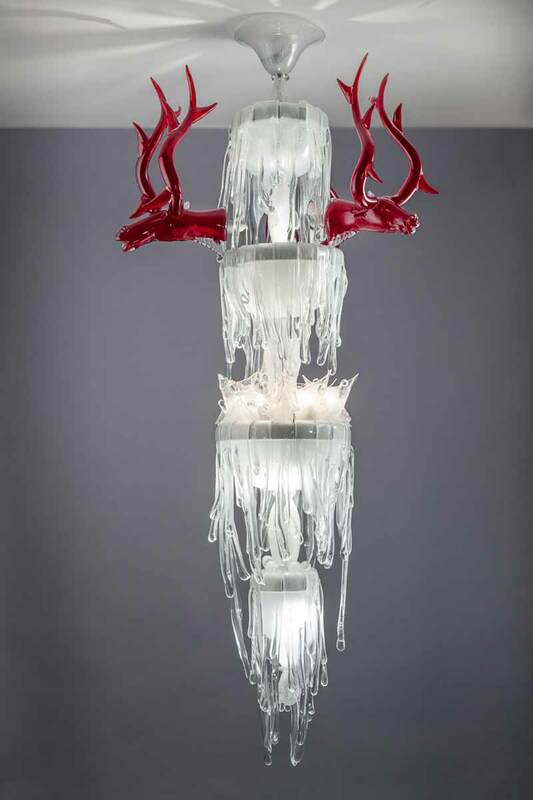 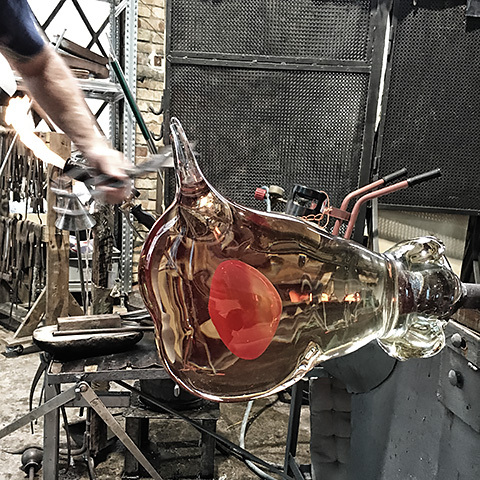 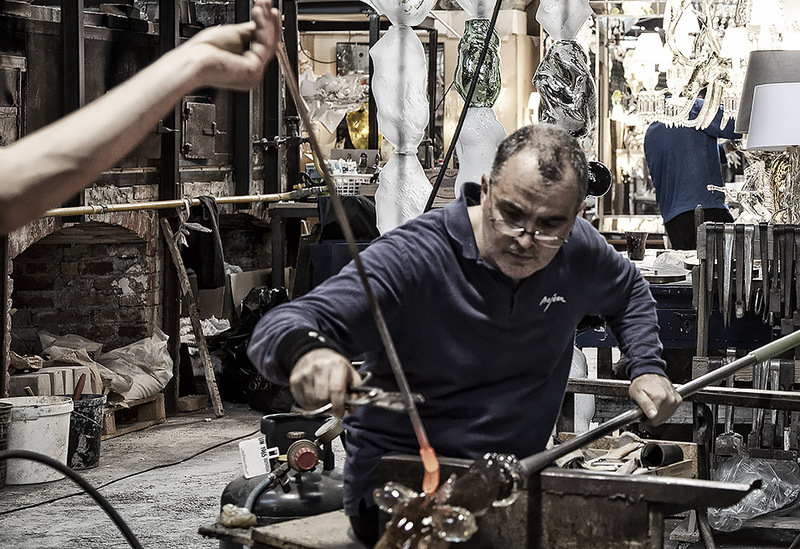 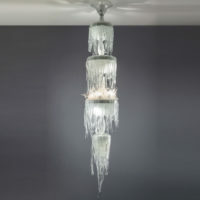 Restoring one of the most beautiful Murano glass factories in activity, Najean displays his full potential. 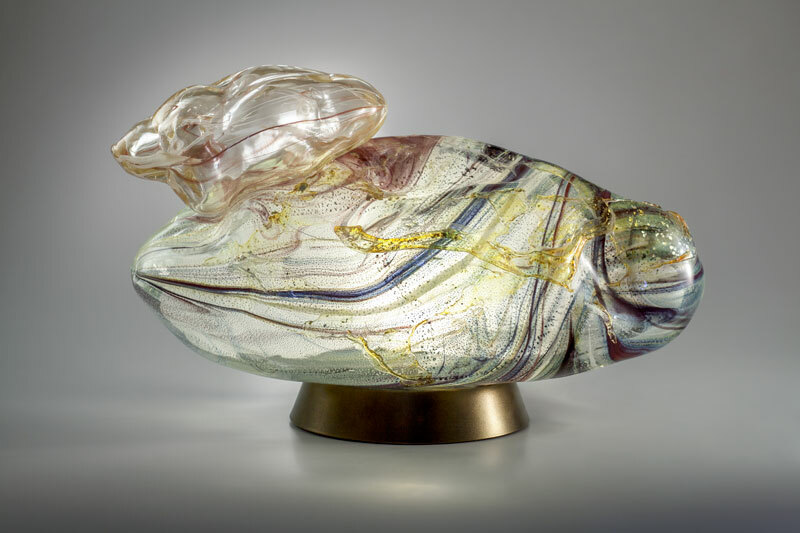 His artistic inspiration finds a new vitality in the sparse spaces of the Cathedral. 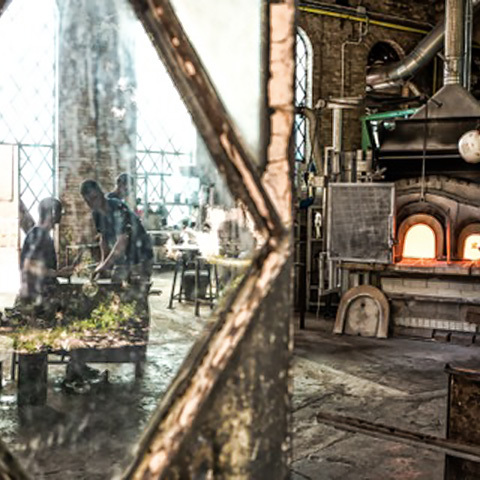 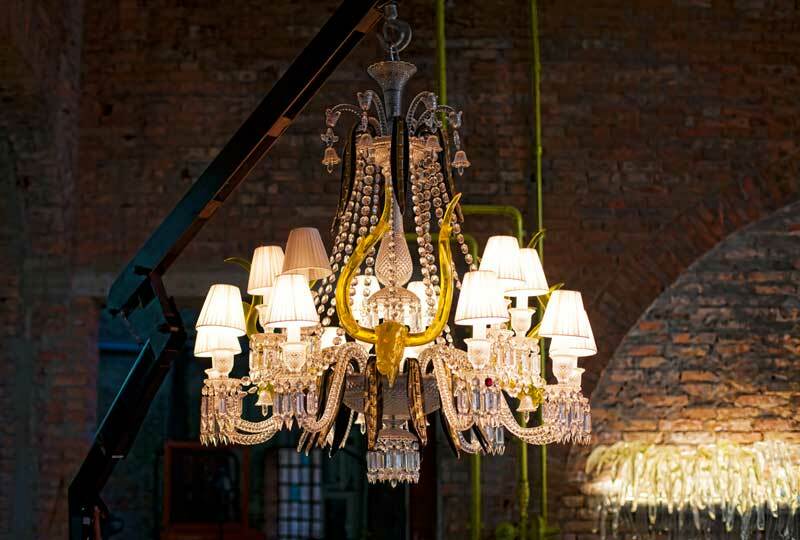 The ovens rumble beneath the brick vaults and the old oak beams; amazing drawings and silhouettes lie tangled on the floor; sculptures, prototypes and chandeliers overflow the space stretching themselves between sparkling tubes and steel structures. A view that takes your breath away.